At Bobrowski Family Dentistry, we believe that a dentist and patient become a team for treating an individual’s dental needs. Our dentists spend most of their time listening to understand your concerns and responding with the best treatment options for you. With the help of our professional staff, they also follow up to make sure that general pain is relieved, problems are resolved and your health improves. 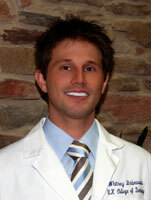 We also know that convenience in the Greensburg area is important to your selection of a dentist. In these web pages you’ll find information about Bobrowski Family Dentistry’s office, including our Greensburg location, maps, directions, hours, insurance policies and appointment scheduling. Please feel free to contact us with any questions you have or to request an appointment. We hope you’ll find our practice offers the accessibility and personal commitment you look for from a dentist. After graduating from the University of Kentucky College of Dentistry in 1980, Theresa and I moved to Greensburg to start our dental practice. 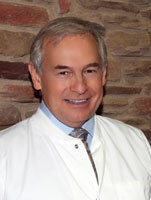 My staff has over 190 combined years of experience in the dental field. I am very proud of them and they care so much about the outcome of our care for our patients. After graduating from the University of Kentucky College of Dentistry in 2008, I moved back to Greensburg and joined the practice with my father. It truly is a blessing to be able to work with my father in the profession of dentistry and I am very grateful to have the opportunity to use my education and abilities to help people in our community.